Lucas Digne was once wanted by Manchester United. One week after lifting the FIFA U20 World Cup with France, Lucas Digne is celebrating another milestone in his career as he has joined Paris St Germain. 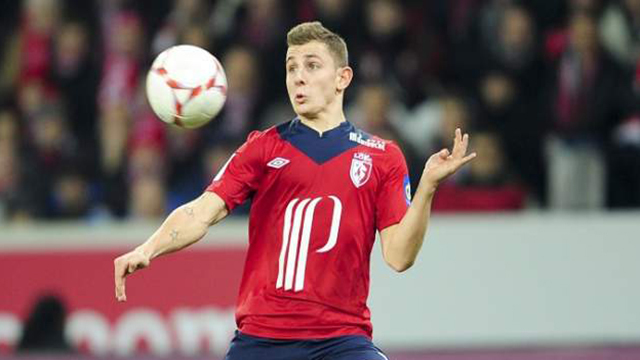 The 19-year-old full back joins from Lille and signs a five-year deal with the current French champions. Digne rejected Monaco to join PSG in a deal reported to be 12 million euros. Manchester United were previously interested in the defender who has been highly praised for his attacking runs and pinpoint accurate crossing abilities. Left back Digne will earn 255,000 euros a month, so was understandably happy with his move to the French capital. You have succeeded in placing my perspective right within this blog post. I strongly believe there is still so much to accomplish nevertheless with dedication, things will certainly become solved.